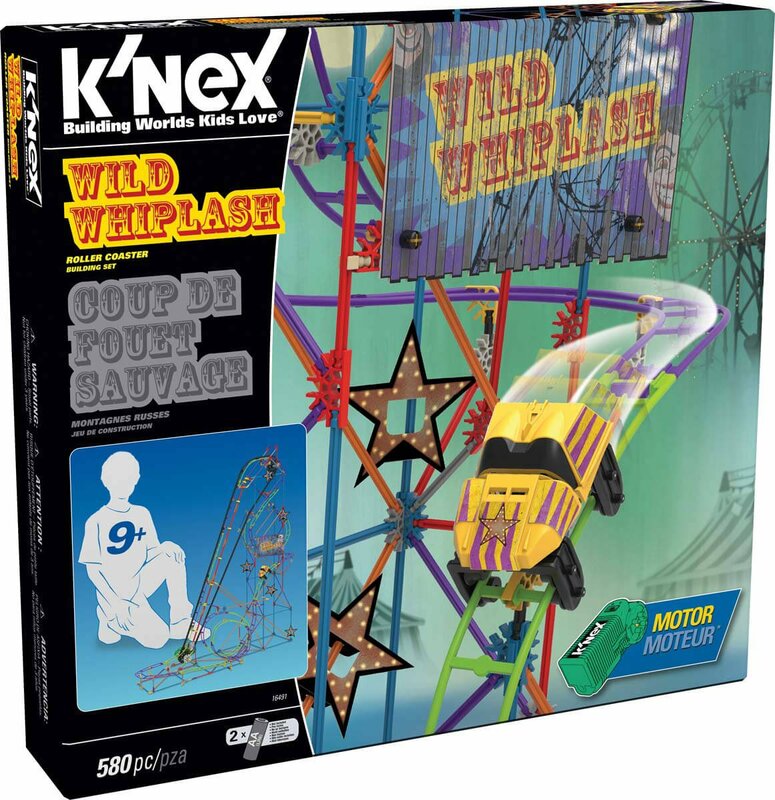 Get ready for the ride of your life with the Wild Whiplash Roller Coaster Building Set from K'NEX! Standing at over 2 ½ feet high, this creepy carnival themed coaster includes a motorized chain-lift that propels the coaster car through 14 feet of twisting, turning track! Set also features special graphic panels and stickers and comes with easy-to-follow, step-by-step building instructions. Instructions for 2nd coaster can be downloaded from knex.com! Build a WORKING motorized roller coaster! Over 2 ½ feet tall!